Chipping Campden was in the past a thriving and very wealthy market wool town. 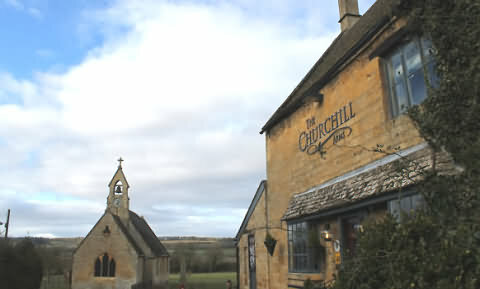 It now boasts one of the most popular villages with tourists in the Cotswolds. It has a good variety of accommodation in the form of hotels, B&Bs, holiday cottages and inns. The village is particularly endowed with a good selection of restaurants and tea shops. Whether you’re mooching around the old market town for an afternoon of sightseeing, or spending a special weekend relaxing in the Cotswolds, Chipping Campden caters for all with its wealth of places to eat. The main street alone boasts more than 15 different places to dine offering a variety of cuisine, not only local to the area, but from across the world too. All eateries are within a short walking distance from the main car park in the centre of the town and offer a range of high quality food to suit every budget. The Kings Hotel overlooking the square in the centre of town offers a bit of everything. The newly refurbished bar is the perfect place to cosy up in the window and unwind to the soft sounds of Katie Melua and Jamie Cullum. Whether you’re looking for brunch, lunch, cream tea, a light bite or an evening meal, the hotel provides a wide choice on their informal bar menu and evening dinner menu. Lunch is around £6.95 for a sandwich and £10.50 for a larger snack. The stylish bar in the 18th century townhouse serves real ales and a good selection of wines for you to kick back with your choice of newspaper or traditional pub games. 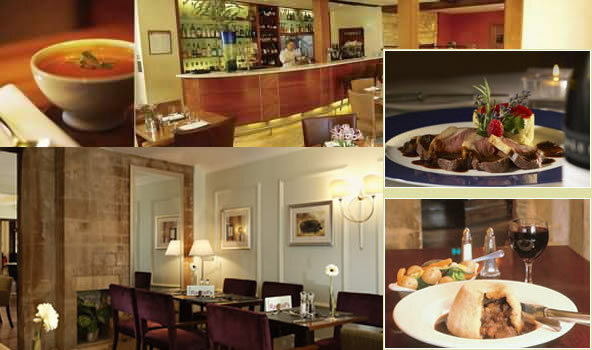 The warm and welcoming restaurant offers a two-course meal at £27.50 per person or a 3-course feast at £32.50. The bar even offers a ‘Fish and Chip Friday’ which includes a small glass of house wine, beer or soft drink for £11.50 and a ‘Wednesday Steak Night’ too – two rib-eye steaks with all the trimmings plus a bottle of house wine for £35 per couple. A unique ‘Truly Sumptuous Afternoon Tea’ can also be pre-booked for a special occasion. The treat includes a glass of crisp chilled Champagne, a selection of fresh sandwiches, homemade cakes and savouries with tea or coffee for £19.50 per person. If you’re on the go with a list of sights to see or in a hurry to begin the first leg of the Cotswold Way, make a quick stop at Buttys towards the lower end of the High Street. They prepare fresh sandwiches, breakfast baguettes and salad boxes to order at competitive prices, all made whilst you wait. Open from 7.30am (8am on the weekends) with free Internet and wifi available, it’s a great place to fuel up for a busy day. To experience the charm of a traditional English tearoom, visit Badgers Hall or Bantam Tearooms opposite the Old Market Hall on the High Street. Both offer an array of homemade cakes, jams, and pastries in an old-fashioned setting complete with lace tablecloths and matching doilies. A simple Cotswold cream tea sets you back just £7.25 at Bantam Tearooms, whilst the show-stopping ‘Tea on a tier’ complete with sandwiches, cakes and clotted cream scones at Badgers Hall is £15.50 per person. If you’re in need of a tipple or two, a visit to one of Campden’s typical English pubs is a must. The Red Lion has an old wooden beam character and rough-hewn Cotswold stone within, where ‘muddy boots and paws’ are welcome. A great place to keep the family entertained with a pool table upstairs and playhouse in the rear garden, it provides traditional pub food at a reasonable price throughout the day. Just 50 metres off the main High Street, The Eight Bells Inn offers a similar old English experience with a choice of local ales and ciders on tap and the finest seasonal produce on the menu too. Open from 12 noon, the pub features traditional open fires and candlelit tables. Sunday nights often feature quizzes or live acoustic music. The Chef's Dozen and Huxleys both provide Al Fresco dining within beautiful walled courtyards on the High Street, allowing you to admire the views of the surrounding hills and the town’s ancient architecture. Willows has the vibe of a fresh and modern café, open 12pm-2pm for lunch and 6.30pm-9pm for dinner, making it the perfect place to meet friends with the children and dogs for ‘tasty teas, gorgeous coffee, espresso martinis and homemade biscuits.’ If you’re into your seafood pop over on a Wednesday or Thursday for a ‘Fishcakes and Fizz’ evening for just £12 per person. Huxleys is a cosy winter favourite. The intimate café and wine bar is hidden inside a five-hundred-year-old building with old oak beams, a roaring log fire and comfy leather sofas. Sit out on the terrace in any season under the patio heaters to enjoy a coffee or glass of wine to the sounds of jazz music and water fountains. They also offer a range of antipasti, light bites and sweet treats too. If you fancy something completely different Greek and modern Mediterranean restaurant, Michael’s, has nothing but good reviews. 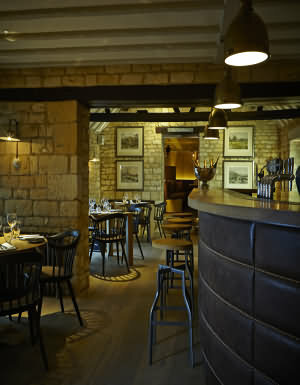 Owned by Greek man Michael Alexiou himself, the relaxed and intimate setting is known as “a little corner of Cyprus in the heart of the Cotswolds.” On Sundays he prepares a traditional Cypriot lunch for visitors, to include BBQ spit roasted lamb and chicken, as well as fresh fish platters and steaks. Campden also brings you a piece of Italia in the form of family-run restaurant Caminetto. Open for both lunch and dinner they offer typical Italian food made from scratch, traditionally served in old-fashioned surroundings. For those avid historians, trace the steps of Charles II who is thought to have stayed at one of the Cotswolds oldest inns, The Noel Arms, during the English Civil War. 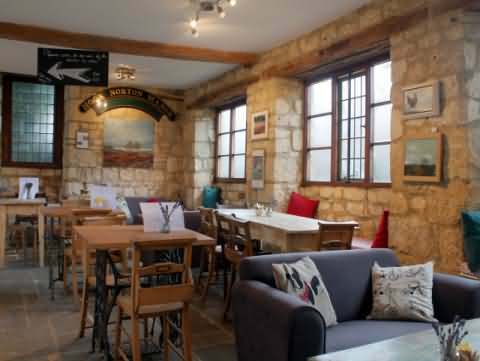 The traditional Cotswold inn leaves you spoiled for choice with an in-house coffee shop, bar area, stunning sun lounge and restaurant. Relax with the papers alongside the open log fire in the winter or out on the sunlit terrace in the summer months. The pub is also home to the current title-holder (for the third time!) of the Great British Pub Awards Curry Chef. A curry evening is held every last Thursday of the month for you taste an award winning meal with a pint of beer or glass of house wine for £13.95 per person. 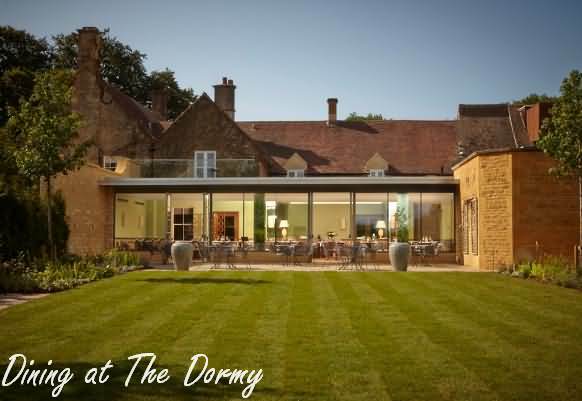 Dormy House has long been a landmark destination for foodies and with Head Chef Paul Napper in charge of the kitchen we are cooking-up a real culinary storm in the Cotswolds. Working with Executive Chef John Wood (whose CV glitters with a constellation of Michelin stars) Paul has developed two distinct dining experiences with two mouth-watering menus. 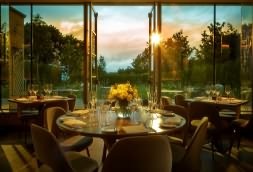 In The Garden Room restaurant we have set out to prove that fine dining doesn’t have to be too fussy or too formal. Instead, expect a menu that cleverly reworks country classics for a more modern palate and an atmosphere that’s both relaxed and attentive. The internal courtyard will welcome guests through into the restaurant with its large glass windows – a platform for the beautiful landscaped gardens outside. The Wine List - Fabulous food deserves a fabulous wine list and with the help of Corney & Barrow (who hold two Royal Warrants) we have chosen a selection of wines that’s hard to beat. We thought that if it’s good enough for the Queen and Prince Charles, it’s just about good enough for our guests. Chef Paul Napper is crazy for English pub grub as it ought to be: sticky ribs, great bangers, slow-cooked pork belly and fish that’s been caught on our shores. So come and use The Potting Shed as your stopping-off point on the way home from work – or as your 19th hole if you prefer. Dress up and enjoy a pre-dinner cocktail. Or dress down and bring the kids. We’re open.